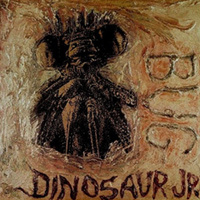 On June 25th, Dinosaur Jr. will perform BUG at the 9:30 Club! In its entirety, front to back, and YOU can be a part of it all in Washington D.C.! Dinosaur Jr. will be performing their classic album, BUG, front to back at the 9:30 club in Washington, D.C. We will make history filming this concert and YOU can be a part of it. Following the announcement that the band will perform its classic album Bug in its entirety in London in July, the band has announced a short tour in the US in June. The US dates kick off in Northampton, MA with a concert benefiting Whole Children, including Henry Rollins, Thurston Moore, and The Warblers and continues throughout the East Coast featuring Dinosaur Jr. performing Bug in its entirety, Henry Rollins interviewing Dinosaur Jr. live and... special guests OFF!, with Fucked Up also performing in New York City. Click here to submit your entry now! The deadline to submit entries is June 19th, 2011! LESS THAN 2 WEEKS to get your submissions in! Keith Morris from OFF! : In The Hands Of The Fans for Dinosaur Jr.